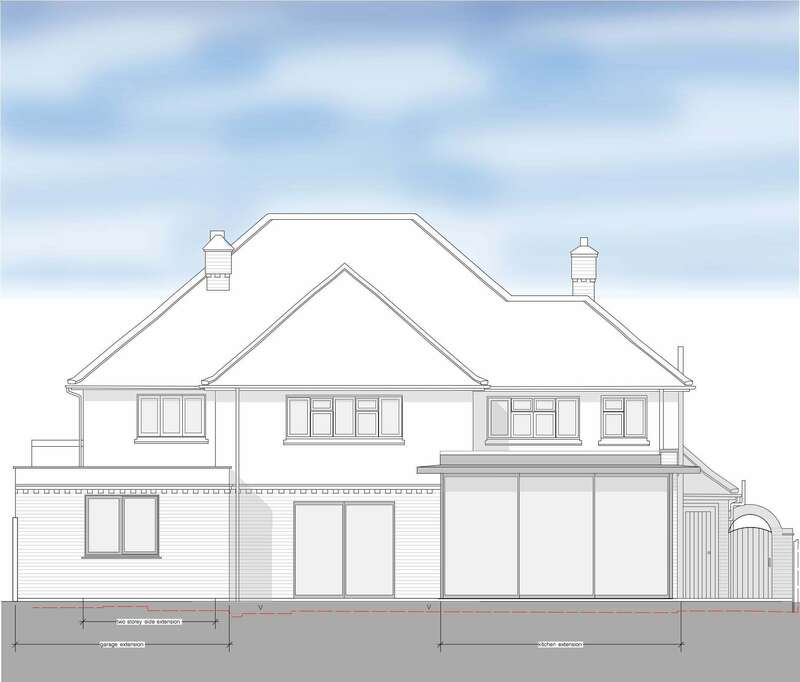 We are delighted to have gained planning permission for a two storey side extension, incorporating a double garage and workshop on the ground floor, with master suite and guest bedroom on first floor and a single storey rear contemporary extension. 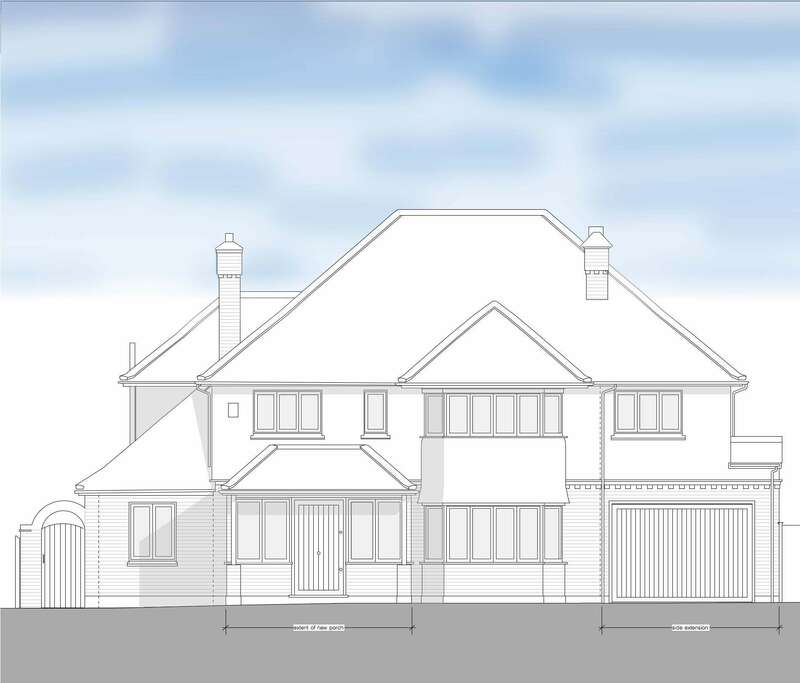 The scheme also reconfigures the plan to create a grander hall and entrance porch, better access to the first floor with a new stair and conversion of the existing garage into a generous utility/ boot room. 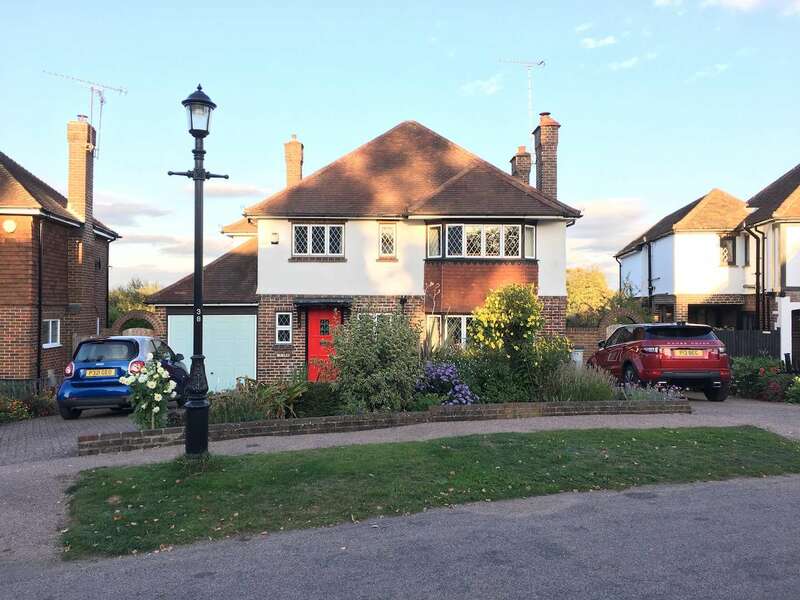 The side extension up to the boundary provides sufficient space for circulation around a modern car and steps in from the the boundary at first floor level to maintain the detached appearance between the houses in keeping with the street scape. 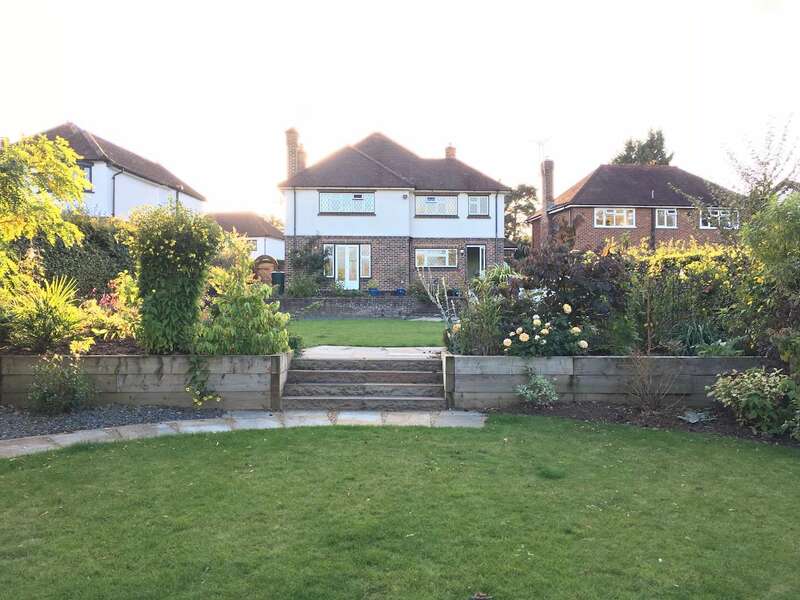 The extension maintains the distinctive style of the existing house continuing the facade materials and brick pelmet details. The kitchen extension by contrast creates a modern glazed extension with large glass sliding doors to two sides and a generous space for the kitchen/dinner, which links directly to the garden. The large sliding glass doors open to create a generous connection flush with the terrace.